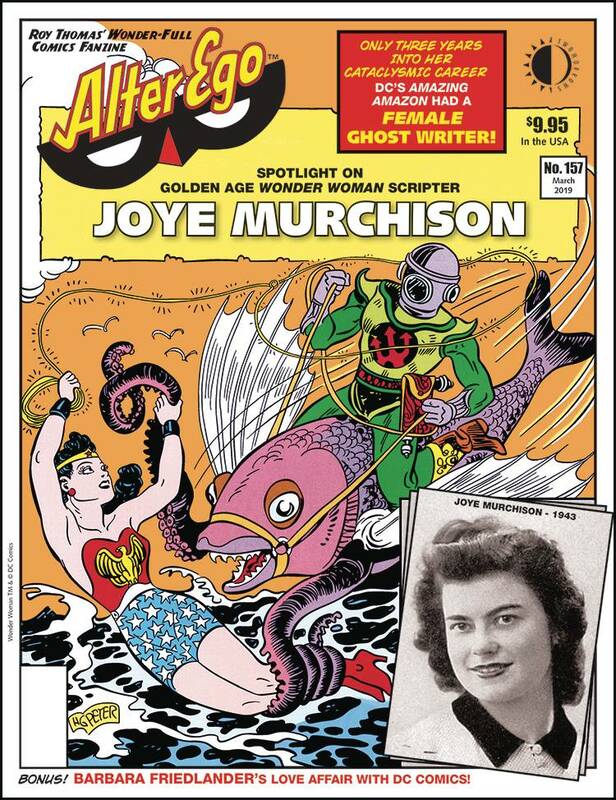 From 1945 to 1948, just a few years into her 75-year career, the phenomenally popular Wonder Woman had a female scriptwriter: Joye Murchison, assistant to WW co-creator Dr. William Marston! In Alter Ego, you'll revel in her interview conducted by Richard Arndt, featuring rare artwork by H.G. Peter and several previously-unknown art assistants! 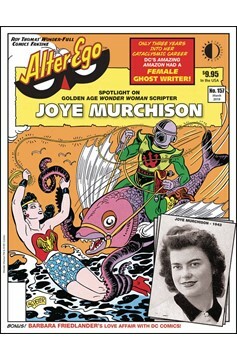 Plus: Barbara Friedlander, 1960s writer and editor, spills the secrets of DC's love comics-with art and/or anecdotes of Jack Miller, John Romita, Gene Colan, Jay Scott Pike, Tony Abruzzo, Robert Kanigher, Ross Andru, Mike Esposito, Joe Orlando, Carmine Infantino, Mort Weisinger, Julius Schwartz, and many more!.